Both Bluehost and Hostgator are very well known hosting companies, but one will always feel a bit confused while choosing any one of them, because the features provided by these companies are quite the same, a normal person, who is new in this field can barely find a difference. 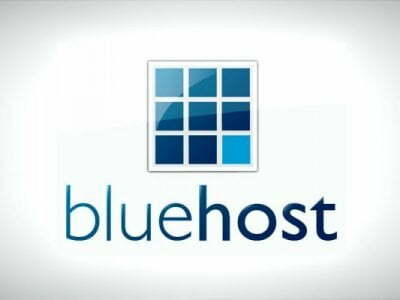 So, this forced us to provide a compete review or comparison of Bluehost vs HostGator, in which all the features will be compared and the end result will be provided to help you choose the best option. Below is the comparison based on each and every feature provided by these hosting companies. Both these hosting providers offer 1-3 years Plans which will differ according to your needs. There are three different packages, one for Newbies, one for Medium bloggers and one for Pro’s. With Bluehost, the lowest plan starts from $3.49/Month (with discount) and with Hostgator it starts from $3.96/month. Bandwidth is a really important part of your hosting as higher or the unlimited bandwidth means your website can be accessed without any limitations or the unlimited data can be transferred. The disk space or the storage space is another part of hosting which makes it better or the wort. It is the place where you can store your website files, emails or other data. The more space means you can store more. Both these popular companies provide unlimited disk space. The Addon domains are the Websites you can host on your hosting except the main website. The Unlimited Number of Addon domains means, you can host unlimited Number of Websites on both Hostgator and Bluehost. What will happen if all of a sudden you lose all your website content? And you don’t have any backup? It will very worst condition. But this happens in very rare case, because all the hosting providers provide this feature to save your content, some would provide it for free, some will charge some money, same as the case with Bluehost.com and hostgator.com as BH provides free automated backups whereas on the other hand, HG will charge you $15 to restore automated backup. Bluehost.com or it’s all other country versions provides Free domain Name with all the hosting packages, no matter you go for 1 year or 2 year plan. That domain will be free for you for the 1st Year. But Hostgator.com does not provide any free domain name with any of their Hosting Plans. No matter, How good you are and your skills, there will be some point of time, when you will need some assistance to solve a problem in your hosting and that will be the time, when you will require support staff. If you talk to Pro’s, they will say, the support system is directly proportional to the quality of your Hosting. In simple words, good support staff means Good Hosting. Both Hostgator.com and Bluehost.com have a superb support system with 24/7 Technical Support. You can call on their Toll Free Number or can start Live Chat and they will help you in a matter of few minutes. Once you buy hosting from any of these two companies, they will setup your account and domain in a few minutes. Once they setup, you can start building your website. If you are not satisfied with the plan or the hosting, then you can ask for a refund, because both these Provides gives Money Back Guarantee. Bluehost offers 30 days Money back Guarantee and Hostgator Offers 45 days Money back Guarantee. You can ask for refund after cancelling your account within this period of time. Also Read:- HostGator Flash Sale: 60% Off All Hosting Plans! Below is the comparison of reliability and performance features. The page loading time is the load time, when a user opens your website for the first time. The More faster speed, means better the performance of your website and good the User experience. Note: Below is the screenshot of our two websites, one is hosted on Hostgator and other is on Bluehost. We checked Loading speed of both with Pingdom Tool. If you like to examine the speed of the server, then examine its first byte time. It will give the exact idea about the speed of the sever and how fast your website will preform. I think, this is the only feature Bluehost.com lack as they do not provide any uptime guarantee, whereas on the other hand, Hostgator.com provides 99.95 Uptime guarantee. But, personally, I don’t think, this matters, because we are using both these hosting companies and they never go down, they always stay uptime working. Based on Features mentioned in this review, Below is the Ratings of both Hostgator and Bluehost, which will help you choose the best hosting company. 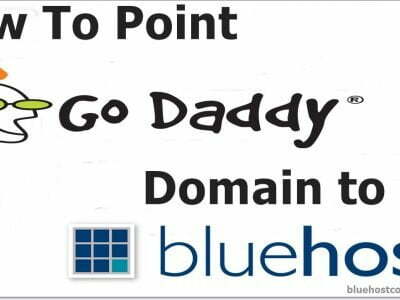 Now, This is very clear that bluehost has an upper hand in this competition, but at the end of the day it depends on you which factor of all these points you consider the most and which company you want, but in you have any confusion regarding the Bluehost vs Hostgator review, then don’t feel shy to ask via comments. Well, I will choose if I have this option to choose from Bluehost or Hostgator. Check Bluehost Black Friday sale:- Bluehost Black Friday Deals. Well, A great review and comparison and rightly said, Bluehost has an edge over Hostgator.